Thanks to SNK-Capcom.com, eight one, IGN.com and the Official SNKP Site for the screenshots! Despite SNK already attempting (with mixed results) to bring series like Fatal Fury and Samurai Shodown into the 3D world, this is the first 3D KOF game ever made. Surprising that it took them this long really. Converting a 2D game series into a 3D one has never been an easy task; a simple look through the pages of video gaming history can confirm that. Even if the resulting conversion is well done, most fans of the original games will likely turn their noses up at it (I'm guilty of doing this myself quite a lot), and nine times out of ten the developers tend to lose many of the things that made the 2D games great. For a perfect example of this, check out the N64 Castlevania games... I'm a massive fan of 2D Castlevania, but somehow all the brilliance of those games was lost in the leap to 3D, and both games ended up being just mediocre or average at best. The old SNK was also guilty of this to a certain extent with the 3D fighters they released on the Hyper Neo Geo 64 arcade hardware, and also the VERY bad ports that made it to the Playstation One. Although a few people still rate them as reasonable games, I personally dislike them, and I really can't bring myself to play them seriously. After a few rounds of Samurai Shodown 64, I tend to want to put my MVS back on and play some Samurai Shodown 2! Call me a 2D purist or whatever you want, but this is how I usually feel and it takes a very well made game to make me change my mind. 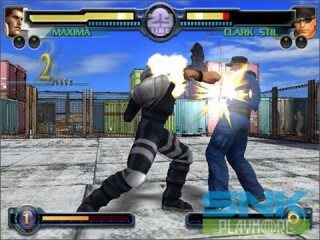 Which brings me to the game in question - KOF: Maximum Impact. When I first heard this game was in development, it is safe to say that my initial reaction was not favourable at all. There was no way in hell that I could actually see this game being any good, especially as it was going to be SNK Playmore's first ever 3D game, and I just couldn't imagine seeing the likes of Iori and Kyo in 3D. I had horrible visions of weak graphics, poor unresponsive game play and in general a totally worthless game. The initial screens and movies that made it to the web didn't help much either so I eventually chalked it down as a lost cause. However, as more and more details and screenshots emerged, it began to look like SNKP might have actually done at least a reasonable job, and as the games Japanese release date grew closer, I began to do something previously unimaginable: I was actually looking forward to playing the game, and it seemed like I wasn't the only one! The storyline in this game seems to revolve primarily around a couple of the new characters: two brothers named Alba and Soiree. Rival gangs are all trying to take control of Southtown, and Alba is seeking to meet with the leader of the most powerful gang in Southtown called "Mephistopheles"; a man by the name of Duke. However, Duke's condition for meeting with Alba is that he must join the tournament that he has set up and defeat all the opponents he throws at him. So, another KOF tournament starts and the new characters and many KOF veterans enter, all with their own reasons for being there. Meanwhile, Soiree decides that if his older brother is to become the new leader of Southtown, he must also enter the tournament and defeat Duke himself. Hyena is one WEIRD looking guy... annoying too! The main part of the single player experience is the story mode, although that title is a little deceiving as it's not all that in depth. When you start a game with your chosen character, you get a short FMV sequence which is the same for everyone, and it is accompanied by some text which presumably (it's in Japanese) explains the background behind this KOF tournament. Each fight is then introduced by a VERY ugly looking guy in a green suit who goes by the name "Hyena", and from what I can tell he really just tells you who your next opponent is going to be and not a lot else. After reaching and beating Duke there isn't really much of an ending for any of the characters, aside from a bit of speech and a credits FMV, so storyline wise Maximum Impact is not on the same level as the best 2D KOF's, but it is more than adequate. I did notice that the Meira brothers both had a tiny bit more in the way of cut scenes, but then again they do seem to be the main focus of this game. Before I say any more, I want to get one thing straight: If you are a total 2D purist and can already see yourself hating this game with a vengeance without having played it, then you would be best to press the back button on your browser and look elsewhere for your gaming thrills, as the chances are this game will not be for you. I agree with that kind of opinion to a certain extent, but I'm usually willing to give everything a chance at least once. If you feel the same way, then carry on reading as you may be pleasantly surprised... KOF: Max Impact is actually quite a good game! It is not perfect by any stretch of the imagination, but it sure as hell beats most other 2D->3D conversions, and even adds some other cool touches that many SNK fans will be fairly pleased with. Team-play or one on one? Unlike all the other KOF games, Maximum Impact (to be referred to as "MI" for the rest of this review) opts for a one on one approach, instead of the traditional three vs three team matches. That is only for story mode however; if you want you can still play single matches against the CPU with teams of three, and also in 2 player vs mode, so it hasn't been removed completely. In story mode, after seven fights you go on to face the final boss. If you want more info on him, check out the characters page of the review here! Right from your first fight the controls feel quite familiar if you have ever played a KOF game, although it does feel a bit looser than before. As you would expect the jump to 3D has changed a few things, and not all the old moves will work in exactly the same way you would expect them to in 2D. One obvious change that you will notice immediately is the addition of pre set chain combos, which are a little bit similar to the ones you would find in something like Tekken or Dead or Alive, and which can be combod into other moves. This isn't as bad as it sounds though as there aren't many really silly ones (apart from a few exceptions) and are mostly 3-4 hits of simple stuff like Hard punch x 3 etc. This does mean that it can be easier to button mash, but thankfully not many of these combos seem ridiculously bad enough to spoil things, and you can actually escape from some of them. It is safe to say that newcomers will find this game very easy to get into compared to 2D KOF, which is a double edged sword really, as it will be easier to get "noobs" to play this game, but veterans might get annoyed with people attempting to button mash to win, which is now very possible. The game is fast moving too... certainly faster than most of the 2D KOF's, so it does take a little bit of getting used to. You'll also find that the CPU will waste no time in pounding you into dust if you just stand around. I wouldn't necessarily say that the CPU is hard to defeat, but it won't just stand there and wait for you to make a move most of the time, it just jumps in and goes straight for the kill, so unless you stay on your toes you won't last long. 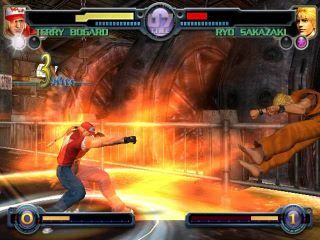 MI also takes the Bloody Roar route of having walls and other background objects that you can pummel your opponent into, although unlike Tekken 4 and the Dead or Alive games, all the stages are a simple square environment; there are no obstacles in the middle of the fighting arena, just a barrier around the outside. I have noticed that this does seem like it's possibly very abuseable as you can corner someone next to a barrier and kick the living hell out of them, which the CPU has done to me on a few occasions when I've had the game set to a higher difficulty. I've never been the most advanced player when it comes to fighters though, but I'm sure the experts will do their usual thing and pick out the really nasty stuff in there and possible infinites that might spoil the game for true competitive play. There are ways out of a lot of the damaging combos I have found though, and besides which I don't think MI was made with high level play in mind anyway. 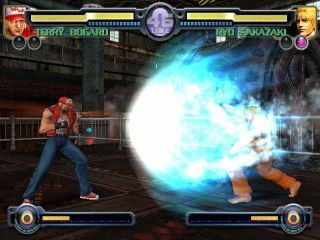 As you would expect being a 3D fighter, there is a sidestep in this game, which you use by pressing light kick and light punch together, or R1 on the PS2 pad as a shortcut. Tapping it will make you quickly dash to one side, while holding it makes you continue to slowly circle your opponent. Just pressing LP and LK together on their own will make you sidestep upwards, while pressing it in conjunction with down on the stick/pad will make you move downwards. I found this a little weird at first and I thought that it would have been better if they had mapped the buttons differently... but thankfully a quick look at the key config menu found that you can remap them yourself anyway. I'd suggest mapping sidestep in each direction to two of the shoulder buttons if you find the default controls a bit weird, as this might make it a lot more intuitive and easier for you. One thing to bear in mind if you do change from the standard config is that a couple of shoulder buttons are already used for other features though - L1 is used for taunt, and R2 is used for the knockdown attack that you would usually get from pressing strong punch and strong kick together. R1 is already mapped to LP + LK though, so you can use that as your sidestep up button. Having said all that, playing this game on a normal PS2 pad probably isn't the best thing for most players... if you are used to playing on the Neo Geo, then buying a proper arcade stick is probably a much better idea and will make you feel more at home, and you probably won't need to worry so much about remapping keys. Newcomers who are used to the PS2 pad most likely won't agree with this however, and I'm sure they'll be fine with the standard pad. Pressing LP and LK together also has two other uses: rolling and safe falling. Pressing back or forwards at the same time as those buttons while standing will make you do the roll in the same way as you would in most other KOF's. Rolling forwards will not make you roll through your opponent as it would in previous games though, but then again that might have looked a little weird in a 3D game. As for safe falling, pressing LP and LK as you are falling will make you land safely by performing a quick roll. As many people have found out, in this 3D KOF it is almost essential to learn - if you don't, you might as well prepare for people to hit you with some huge energy draining combos, because you can take damage while on the floor and sometimes even get launched back into the air! Performing the safe landing roll whenever you can will usually get you out of the way of this kind of thing, but there are times when it's not possible. It's also worth noting that pressing these two buttons while you are lying on the floor will make you do an evasive roll to the side, so be sure to use that to your advantage as well. You have 3 power bars that you can charge up here, and different super moves do take up varying levels of this gauge. As an example, Terry's one hit Power Geyser done with light punch takes up one bar, and the three hit one done with hard punch takes up two bars. Finally, his very powerful Buster Wolf super requires all three bars (and does about 50% damage). Underneath your life bar there is a smaller blue bar that decreases every time you block an opponent's move. As you probably guessed, once it is empty your guard will be crushed and while the bar turns red and recharges (which takes a few seconds), you'll be unable to block anything properly. Contains single play against a CPU opponent of your choice, single play against a human opponent, team play (ala traditional KOF) against three CPU opponents of your choice, and team play against a human opponent. There is also a stage select before each fight, which is something I always like to see in beat 'em ups! The other main feature of the single player experience. 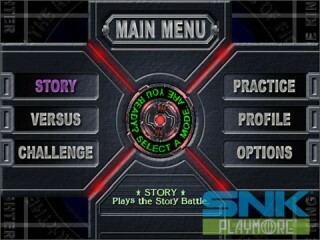 In this mode you can choose from time attack and mission mode. Time attack is self explanatory really and involves beating a set number of opponents as fast as you can, while in mission mode there are a total of 40 levels you must complete. Each one is a fight under different conditions - for instance you might have to beat an opponent in a time limit, or beat them by using combos of at least 3 hits etc. Completing each mission unlocks an extra costume or stage, so this is the main area where you will enable extra stuff! For more in depth help on the mission mode and for descriptions of each of the challenges and how to beat them, please visit this page . It should prove helpful if you are playing the Japanese version of the game as all the in game descriptions are in Japanese. This is self explanatory also... pick your character, pick an opponent and stage, and then practice your moves. This practice mode has many different options, so you should be able to set it up however you need to be able to practice whatever move/combo you have in mind over and over again. 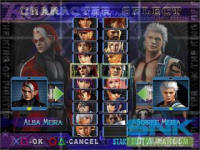 Profile mode lets you view various details (profile and plot background) on any character you have finished story mode with, and lets you view the characters 3D model in detail as you can zoom in and out and rotate it. It is also the place where you can turn on the "rigging model" for that character (more on rigging models later). It's cool but obviously all in Japanese so those of us unable to read it will have to wait until the western port of the game to get the most out of it. As you have probably been able to tell from the screenshots, KOF: MI is actually a very pretty game, and far better than most of us originally thought it would be, myself definitely included! It isn't in the same league as the very best looking games that the PS2 and other systems have to offer (Soul Calibur 2 probably being the PS2 benchmark in my eyes), but it's still very nice, and best of all it moves very fluidly too. The main thing that I was worried about with the leap to 3D is that the characters would lose some of their personality and that some might end up looking plain dumb. However, I won't hesitate in saying that with the current crop of consoles I really don't think things could have been much better. Sure, they aren't the most detailed polygonal fighters by any stretch of the imagination, but the main thing is that they all look more or less exactly like their 2D counterparts. The animation on them is a little stiff and not lifelike in certain areas, but as much as it pains me to say it this is the smoothest moving KOF characters we have ever seen to date. The only real problem that I have is that a few minor things have been lost in translation, mainly with regards to the special character intros and win pose's. While all characters have intros when you play through story mode, and while some are cool, like Seth driving up and then jumping out of a car on the car park stage, there is nothing really on the scale of what we have seen in 2D KOF, where many characters have their own specific intros when matched against each other... some of which are funny, while others are just plain cool. There are a few really good ones to be found here such as the obligatory intro when Kyo and Iori fight each other, and a special intro for Terry vs Rock (amongst others), but somehow I don't quite get the same feeling that I get from the 2D games, but for the first 3D attempt it's still good. 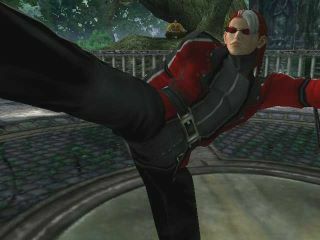 The win pose's in this game only occur at the end of each fight (not after each round) and a lot of them seem a little bit more generic than some of the best ones in other KOF games. This is a relatively small complaint though and the game play is much more important, but if there is ever a sequel to this game it would be nice if they did more work on this area, as these intro's and win pose's have always been one of the most charming aspects of the KOF games, and SNK games in general really. In truth I'm not moaning about it too much as they are pretty darn good, just not as great as they could be in my opinion. SNKP seem to have gone for a very "Dead or Alive style" of unlockable extras in the game, as most of the unlockables are extra costumes, just like in Tecmo's games. All characters start off with a 1P and 2P costume which look very different to each other, as well as a couple of colours for each one so if the same characters face off against each other then one person isn't stuck with a costume they dislike. However, by playing through mission mode you can enable even more colours and designs for each costume (some of which are awesome) and by completing the game with a character you can access their profile which lets you turn something on called "rigging model". No idea what that means exactly, but enabling it adds an extra addition to the costume you pick - for instance, turning the rigging model on for Terry gives him a wolfs head and hands, while Alba gets turned into a Ninja complete with mask and sword. It's probably not something you want to keep turned on, but it is amusing for a while. It's annoying that you have to go into the characters profile to turn this on/off too, as it would have been far easier to have the option on the character select screen with the rest of the costumes. You really brought out the wolf in me... aooooohh! Extra costumes may seem like a very minor novelty, but one of the best things is that for many characters this is the FIRST time we have ever seen them wear ANY different clothing. I suppose the main character that springs to mind is Iori Yagami - at long last we get to see him wearing something other than his usual Goth type gear, and although that outfit was pretty cool it is a welcome change of pace to see this new outfit. 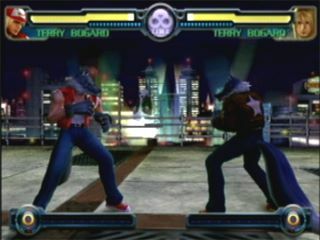 Even newer characters like Rock get some brand new costumes, and Terry has both his classic blue jeans/red jacket and cap outfit as well as his newer leather jacket outfit from MotW/KOF 2003, and it's extremely nice to have the choice. It definitely gives the game a much fresher feel, and maybe in the future SNKP might take some of the better costumes from this game and make 2D sprites out of them for the main KOF series? One little oddity that I noticed with regard to Terry's costumes however is that one of his win pose's is still exactly the same whether you pick the classic outfit or the newer one. That might not sound like a problem, but when one of his win pose's in the classic outfit involved him throwing his cap to the floor and he doesn't have a cap in the new outfit, you might understand what I am getting at. It looks a bit dorky for him to put his hand up in the air as if he is throwing something when he isn't... and although it might have been hard to do a 3D version of the MotW win pose where he takes off his jacket and throws that over his shoulder instead, it would have been nice for SNKP to modify it when using the new outfit. a VERY minor quibble I know, but I am picky at times - hopefully SNKP will iron out these little details in any possible sequel. The stages in this game are very well done for the most part. There are a good number of different stages which include the very beautiful ruins of a temple, a car park, an area downtown, some kind of factory, an airport and more. While some of them definitely give off a past SNK/KOF feel (eg. the military airport stage for one reminds me a bit of the airport in KOF '99), many of them actually feel like they might just have been ripped from a Tekken or Dead or Alive game. The car park in particular looks extremely similar to a certain stage from Tekken 4, and the Ancient Ruins definitely make me think "Dead or Alive". Despite this, they do still work perfectly in the game, and eagle eyed players will notice a small number of cameos in the background from other SNK characters; Gato from MotW is on one stage, and there's a few other slightly more hidden cameos if you look closely, like Cheng Chinzan from Fatal Fury flying a helicopter. I like this sort of thing personally and it adds to the experience, although the atmosphere given off from most of these stages is nothing like your average KOF game at all. This could either be a good or a bad thing depending on your preference. Having said that, there is the unlockable Esaka stage, which is a 3D remake of the Japan teams stage from KOF '95 (with cameos from characters like Daimon and Yashiro thrown in)... when I found that this stage was in there it made me very happy indeed! Even better, you can also unlock Geese's stage (called Infernal Gate), complete with a view out into the city through the windows and Geese sitting in the background watching over the fight... Awesome! It's just a shame Geese himself is not playable! Another nice touch is the different versions of many of the stages, with some having daytime, dusk and nighttime versions. Yeah it's nothing new and has been done before, but it still adds a bit of needed variety to the proceedings. As I said above, the characters certainly look the part, and the animation is mostly very smooth moving, but one VERY important thing is that this game doesn't slow down much at all. 90% of the time it runs at a constant 60 FPS, only dipping down a bit when some special/super moves are executed on certain stages where there is a lot going on... the only time it does get bad is on the Live House stage when Soiree uses some of his moves. It doesn't take too much away from the game however as it doesn't happen all that often, so two thumbs up to SNKP for making sure the frame rate holds up most of the time. It seems like they struck a reasonable balance between "detailed" and "speedy"! Finally, special mention must be given to the aforementioned effects, especially the ones that happen during super moves. They look very flashy indeed and many of them are quite impressive, so the first few times you play the game this will be one of the main things that stands out! For instance, Rocks Deadly Neo Rave and Ryo's level 2 super look really, really neat and give you quite a buzz when you first pull them off, as do many others. I still prefer most things KOF in 2D, but whatever your viewpoint on this game, it would be hard to deny that these moves are a real sight to behold in 3D! Top notch presentation can be expected in this one! The presentation in terms of the artwork used and the menu system is of a very high standard indeed. While the various FMV's like the intro movie (with its hilarious "THE FRIGID FEMME FATALE ASASSIN" text when introducing new girl Lien) are not of the highest quality ever and certainly not on par with Namco's best, they are still pretty good. The main menu system is very snazzy though - clicking the start button that appears opens up a stylishly animated menu and selecting any option starts off a nice transitional animation as you move to the selected sub menu. The character select screen is especially well done and is nice and clearly presented so it is easy to find the character you want, and it also shows off the rather nice looking CG character portraits. Load times between menus and also in between fights are only a few seconds too, so the developers deserve a pat on the back for that. The only annoyance presentation wise is what I mentioned earlier about the "rigging models" not being easily selectable compared to the standard costumes. It seems a bit silly for them to do it this way, so why they did is anyones guess. To tell the truth, you'll most likely want to keep most of them turned off, as although some are very amusing and good fun to try out, they are a bit strange. I found the graphics of the game to be very well done, and I'm pleased to say that this same high standard is upheld with regards to the audio department too; and I expected this seeing as it was reportedly done by Studio Aqua (think Matrimelee/Rage of the Dragons/Metal Slug 5 soundtracks). I've heard a lot of mixed opinions about the music used with some people calling it "dull", but I don't really agree. I can see where those people are coming from though, as the soundtrack doesn't hold a candle to the very best KOF soundtracks from the past with KOF '96 and '99 springing to mind for me (hell they are all good apart from 2001! ), but I can't complain at all. They are of a different style, and are probably more suited to a 3D game as I certainly couldn't imagine playing a 2D KOF with this music. As we have come to expect, Studio Aqua has done some good stuff here, even if it is not their absolute best work. Like a few of the stages, some of the music sounds a little on the Tekken/Dead or Alive side, but most of it has grown on me over the past week or so of playing MI to death. Originally there were only a few tracks that REALLY grabbed me, my personal favourite being the Iron Hell stage music, which I have been humming ever since I heard it on one of the early trailers for the game. It's a fast paced techno/rock track and very catchy as it has some nice guitar riffs in it and a good beat. Although most of the tracks have something of a techno influence, there are a few other different music styles, such as the opera-like intro to the ruins stage, which I really dig personally! Overall it all works well, matches with the on screen action, suits each stage, and generally it can't be faulted if you ask me. Good stuff... now I'm waiting for the OST CD to come out! Here are a few samples of the music that I ripped from the game to give you an idea of how it sounds. They are all one minute (ish) MP3 clips, if you like them be sure to buy the CD! The sound effects are very good, but a bit different to the 2D KOF's, and once again they do sound very much like what you would find in other 3D fighters, as I expected to be honest. The voice acting work in the game is of the same very high quality that we have come to expect from KOF games and from what I can tell it's more or less all the same actors/actresses that voiced our favourite characters in previous games. There is actually a lot more speech than in any other KOF game, thanks to the small cut scenes in story mode, so in this respect you can get a bit more of a feel for the characters. The new girl Mingnon Beart does have a somewhat irritating voice however (quite a name too! O_O), as it's your usual "cutesy teenager" high pitched squeak, and it does grate a little bit if you end up fighting her a lot. The only one other piece of voice acting in the game that I am not too fond of is the announcer, as he sounds a bit stupid. In game he's not too bad when he announces each round etc, but it actually makes me cringe to hear him say "Kaaay Ohhh Efff... Mackshimum Impact!" at the end of the FMV intro. He's far from one of the best announcers we have heard in a fighter, but I did get over it pretty quickly and I don't notice him much anymore. I have to be honest and say that this game has taken me by surprise a bit. I've already said that on numerous occasions I was very quick to slate this game as being worthless before I had even played it, when usually I hate it when I see people doing that. In this case though I was a bit judgmental because we have all seen many great 2D games get turned into crappy 3D ones and I didn't want to see the same happen to another series that I love. The old SNK never really managed any truly spectacular 3D conversions, and with this being SNKP's first 3D effort, I believe that we all had good reason to doubt that Maximum Impact would turn out well at all... and as I said, the first batch of screens and movies that were released didn't do much to change anyone's mind. I'm so glad that I decided to give the game the benefit of the doubt after seeing some nicer looking movies of it running though. After seeing those movies I went into the game with reasonably high hopes and came out thinking "this game is actually very good fun". However, therein lies the problem that I can see the majority of die-hard KOF enthusiasts having with it: it's just that, a "fun" game for the PS2. I'm no expert with fighters at all (in fact I'll admit that I'm pretty sucky compared to a lot of people), but even I can say that it's not the sort of thing that high level players would be found playing competitively. If you are that sort of person and only enjoy playing others at a high level, this isn't the game for you, so you'll be better off sticking to the 2D games. If, on the other hand, you feel like playing a KOF that is a lot of fun if not perfect, and one that contains enough additional extras (mostly in the form of new costumes etc) to put a smile on the face of most long term SNK fans, then you should get a lot of play time out of it. The best part of this game for me is that we now FINALLY have a KOF game that I can persuade a few more of my friends to play; you know the type, the ones that don't appreciate any of these so called "old" 2D games. In a way this is a bad thing as they will probably be attracted to it mainly because it has some flashy 3D graphics and because it is far easier to pick up and play due to the added chain combos, but at least it means that they might learn to appreciate the rich universe of SNK characters a little, albeit in a different way than the rest of us. You never know, if this type of person starts to enjoy Maximum Impact, it might be easier to introduce them to the 2D games as well... or maybe that is just wishful thinking on my part? It probably is with way a large majority of mainstream gamers are these days. I'm sure that we will see a sequel to this game in the future if it sells well. I'm guessing that it will do quite decently as most fans will buy it, and there will be the added bonus of "casual" gamers purchasing it too, when they probably wouldn't have bought any of the 2D titles. So, if we do see a sequel, what could be done to improve it? I think the main requests would be to improve the engine a little and obviously add a lot more characters to the roster. I'd like to see them tone down some of the more devastatingly cheap combos a bit and make them a little harder to do, as any old button masher can do stuff like pressing light kick four times followed by a couple of other buttons and then performing a special/super (Alba and Mai spring to mind straight away). I can understand that they want it to be as easy and accessible as possible to get those casual gamers to open their wallet and buy the game, but I do feel like a lot of the skill has been taken away from the game because of it and there is definitely a lot of room for improvement on that front. As for the roster, there are ALWAYS bound to be a lot of requests for more characters from the SNK universe no matter who makes the cut. The ones likely to be near the top of the list are fighters like Blue Mary, Robert, Andy, Geese, Kim (although he almost *is* in the game in the form of Chae Lim), Shingo and many more... I could easily go on all day. 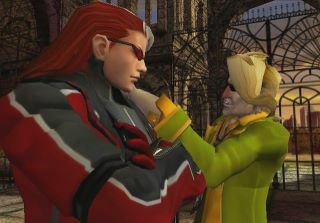 However, in addition to adding in more of the most well known characters, I'd love to see them throw in a few other surprises too - Rock was a good addition as he has never been playable in KOF, but how about throwing in someone like Freeman from MotW, as I think he would be a damn fine addition to this game? 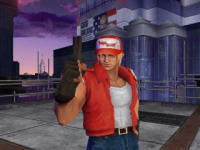 Better still, why not go right back into SNK history and put in some older Fatal Fury characters or something, as seeing them in 3D would be fun... or, go COMPLETELY crazy and throw in an updated version of Hanzo from World Heroes or something, as long standing fans would really appreciate something along those lines, and I think he'd fit into the game ok if he was updated a bit. I'm not 100% sure, but as far as I can tell the storyline in Maximum Impact doesn't really follow on properly from the other KOF games (when does it ever make total sense anyway? ), so I say screw the storyline continuity in the 3D games and go for pure fun and downright coolness instead. You know it makes sense! One other thing that they need to do is to get team play back in there. Granted, you can do team play in vs mode against both a human opponent and the CPU, but they are just single matches. 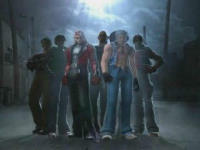 Even if they didn't make team play into the story mode of the game (they'll need more characters for one), there should at least be an option to play through an arcade mode or something where you face a set number of opponents before reaching the final boss... perhaps some influence could even be taken from KOF '96 and there could be a boss team . The possibilities are endless really, so hopefully SNKP will truly go all out next time around add in even more goodies for us to unlock. As it stands, I am very happy with what is in there already and there were definitely a few surprises that I enjoyed finding, but there is always room for improvement. "KOF for the more mainstream audience" is the motto here and that was to be expected (otherwise they wouldn't have bothered making a 3D game), but that doesn't mean that there isn't anything here for the rest of us. I've spent many hours with the game so far, and I can see myself spending a lot more time with it in the future, particularly in vs mode against my friends. If you are capable of considering this as a separate entity to the 2D games and can appreciate it for what it is and not hate it for what it isn't, then you are in for a treat. For anyone totally unfamiliar with SNK's past games, it might even provide a good alternative to the Tekken's of this world (and a good stop-gap while you wait for Tekken 5 etc), although I am loathe to compare it with those games as it is a different kettle of fish altogether, and they don't play too much alike other than the chain combos. 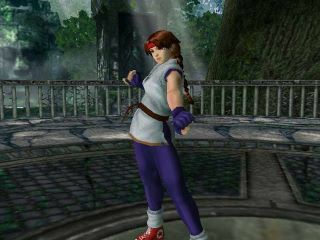 No matter what though, any PS2 3D fighter will draw comparisons with the most popular titles on the system, but hopefully those inevitable comparisons will be quite favourable. KOF: Maximum Impact is definitely worth the money, and definitely better than any of us ever expected it to be. Grabbing the Japanese import is not a bad idea at all as you won't miss much apart from the story mode, but hopefully the western version of the game isn't too far off (October 2004 to the best of my knowledge), so it might be worth waiting for that. Either way it is a quality game and one that has grown on me a lot. Good - The characters all look like they should, there are loads of great extra costumes to unlock, some nice backgrounds, and the game runs smooth most of the time! Very well done for the most part. Bad - Not the most detailed ever characters and occasional slowdown on some stages when a lot is happening at once. Some animation is a little stiff, and if I wanted to be really picky I would point out a small number of glitches like Athena's legs coming through her P2 costume skirt when she runs. Good - Some pretty nice music from Studio Aqua and good sound effects, as well as great voice acting. They better not even consider re-dubbing the voices in the western version... subtitles please! Bad - The music isn't as catchy or great as the best KOF music of the past, but that's not really a complaint... it's just a different style. Good - Easy to pick up, feels close(ish) to the 2D titles, lots of fun to play. Bad - Chain combos might irritate some people, and the controls are a bit more loose than the 2D games. Good - There's enough characters to keep you going in story mode for a while and mission mode provides plenty to unlock in the form of extra costumes. There are plenty of combos to learn too, not to mention vs play, so it should keep most people entertained for a while! Bad - More unlockables would have been nice... like extra characters etc. The only unlockable character I found is the boss, Duke. This is a great start for the series in 3D, better than I ever thought it would be, and most importantly it's great fun to play - well done SNKP! The negatives are that it is still lacking in some areas and I hope that we never see the series move to 3D completely... although this is a great game to play on the side, 2D is still where it's at for most of us. Ideally I'd like to see both the 2D and the 3D games carry on as separate series', so there is something for everyone... let's hope it stays like that.